Margate Fishing pier on land and not over water. 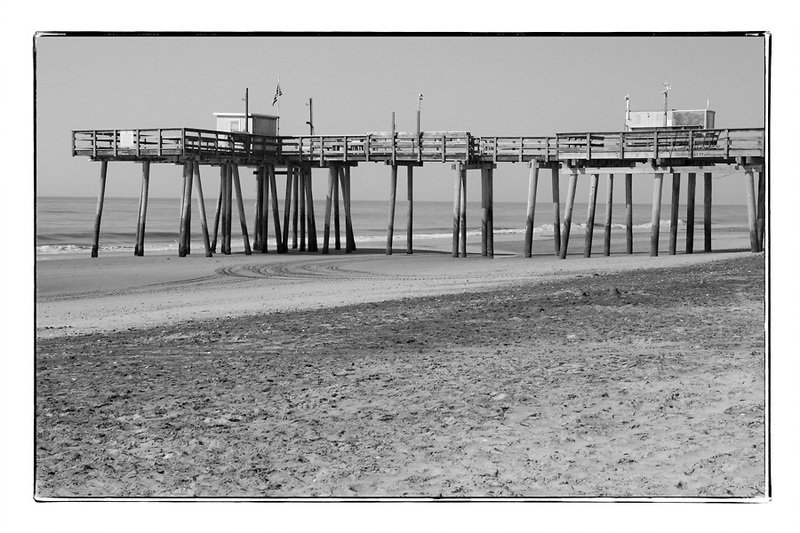 Black and white photography of The Margate Fishing pier in Margate, City, NJ is now on dry land due to the Dune project. There is no water below so there will be no fishing.